Also has sun roof. well maintained and all original documents and manuals. Primarily used for shopping and visiting grandchildren. Very low mileage, great riding and good condition. FOR SALE. This is a White 1994 Cadillac DeVille with Blue interior, Automatic transmission, Rear-Wheel Drive, and a 8-Cyl. engine. 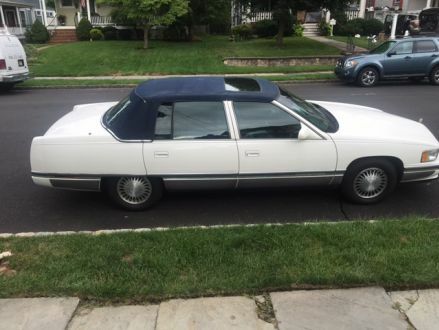 It's in Good condition, with 53,000 miles, and located in Westfield, NJ.